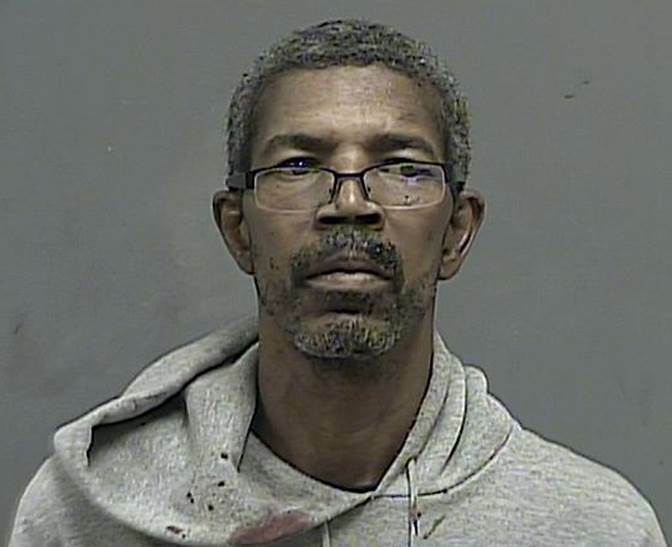 At the request of the Kingsport Police Department Criminal Investigations Division, this is the reissuance of an earlier missing person alert on Bobby T. Depriest that was originally released on April 1, 2019. Mr. Depriest has yet to be found. 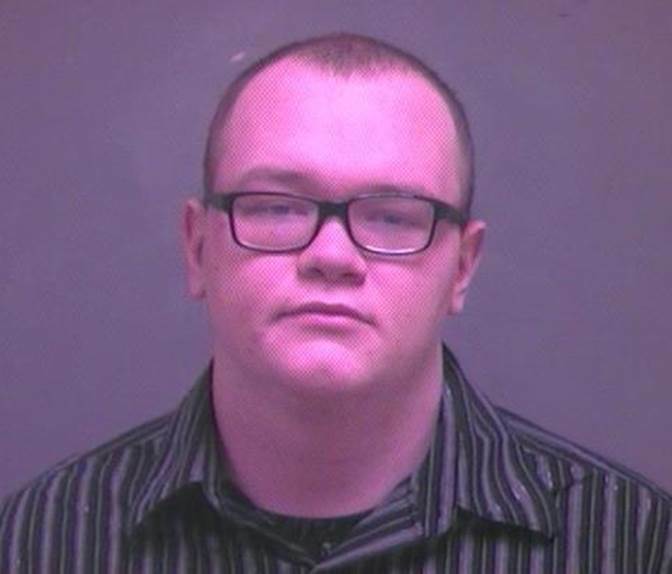 Any and all information that could potentially be useful in locating him would be greatly appreciated. 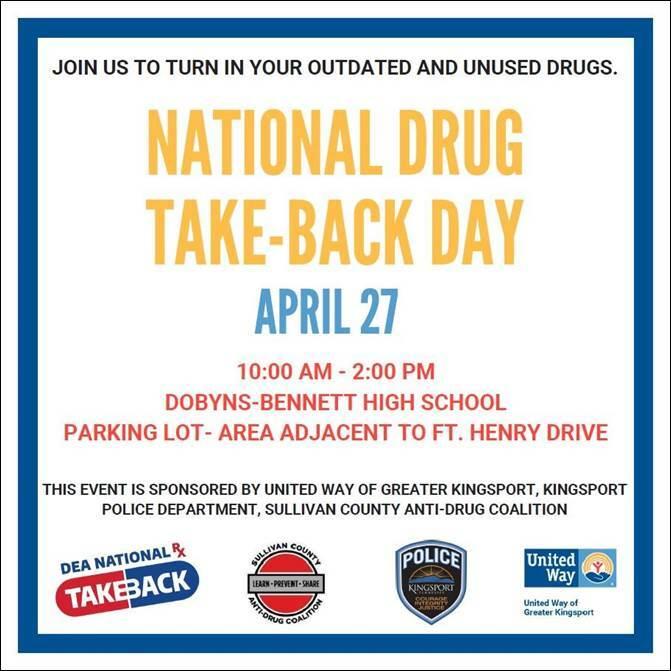 This coming Saturday, April 27, 2019 from 10:00 AM until 2:00 PM, the Kingsport Police Department will be participating in a community drug take-back event. This event will take place in the parking lot in front of Dobyns-Bennett High School, located at 1 Tribe Way, in Kingsport. This event is sponsored by the United Way of Greater Kingsport, the Kingsport Police Department, and the Sullivan County Anti-Drug Coalition. Between now and Saturday, April 27th, all area residents are encouraged to go through their medicine cabinets and inventory their medications. Now is the time to safely dispose of any leftover, expired, or otherwise unwanted medications. This community drug take-back event is open to the public and is a prime opportunity and the preferred method to safely dispose of any medications that are no longer needed. While the DEA does recognize these two annual days, at the Kingsport Police Department, we like to think of every day as Take-Back Day. K.P.D. has been participating in drug take-back initiatives since 2010 and installed a permanent drug collection box in the lobby of the Kingsport Justice Center, located at 200 Shelby Street in Downtown Kingsport, in 2012. Our box is accessible 24 hours-a-day, 7 days-a-week, 365 days-a-year. To date, K.P.D. has been able to safely incinerate over 12,000 pounds (6 tons) of leftover, unwanted, or expired medications. 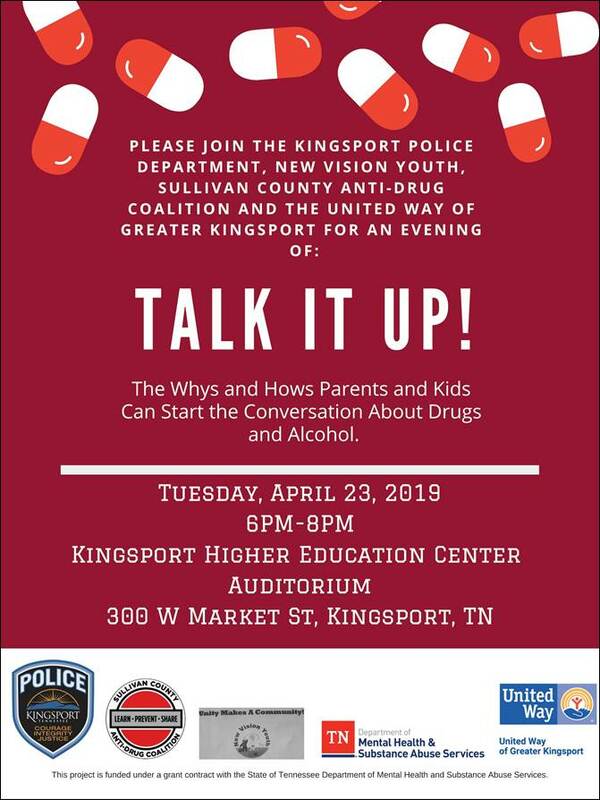 On Tuesday, April 23, 2019 from 6:00 PM until 8:00 PM, there will be a Substance Abuse Town Hall event for parents, youth, and other concerned citizens at the Kingsport Higher Education Center Auditorium, located at 300 West Market Street in Downtown Kingsport. The event is designed to encourage better communication between parents and their children on the subject of drugs and alcohol. This Town Hall is sponsored by the Kingsport Police Department, New Vision Youth, the Sullivan County Anti-Drug Coalition, and the United Way of Greater Kingsport and is funded under a grant contract with the State of Tennessee Department of Mental Health and Substance Abuse Services. Please join us for an evening of “Talk It Up!” on this extremely important topic. 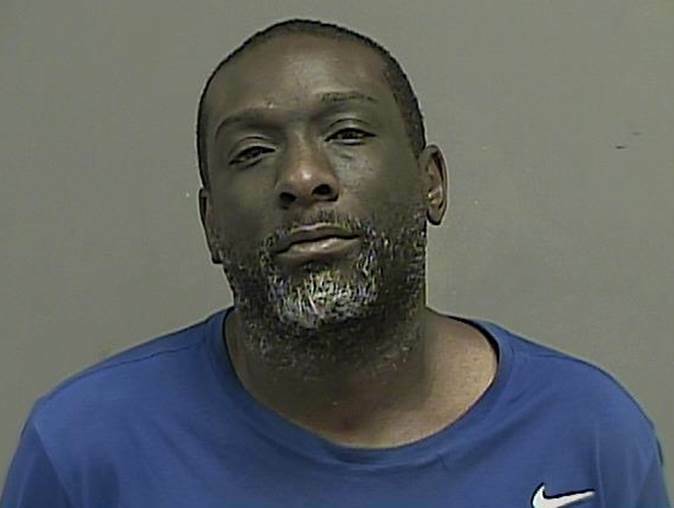 On April 18, 2019 at approximately 11:30 AM, the Kingsport Police Department Vice and Narcotics Unit executed a search warrant at a residence located at 814 Myrtle Street in Kingsport. The search warrant was part of an extensive ongoing investigation into the trafficking of illegal narcotics. As a result of the search, four suspects were charged and arrested. These individuals include Sanford Hodge, Jr., Gunnar L. Smith, Erwin O. Lewis, and Whalen M. Carpenter. All four suspects were charged with 1) Sale and Delivery of Over 26 Grams of a Schedule II Drug (Crack Cocaine) within 1,000 Feet of a City Park, 2) Possession of a Firearm during the Commission of a Dangerous Felony, 3) Maintaining a Dwelling for Controlled Substance Use or Distribution, and 4) Possession of Unlawful Drug Paraphernalia. Mr. Hodge, Mr. Lewis, and Mr. Carpenter were additionally charged with the offense of Possession of a Firearm by a Convicted Felon. 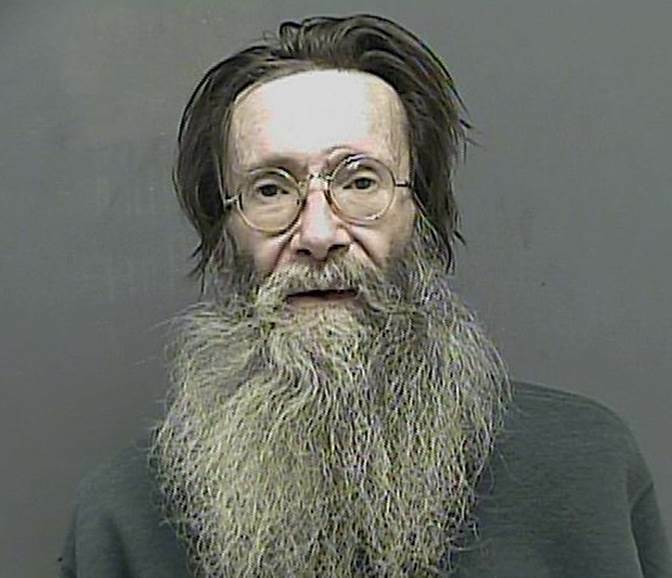 Mr. Hodge was also charged with Simple Possession/Casual Exchange of a Schedule VI Drug (Marijuana). 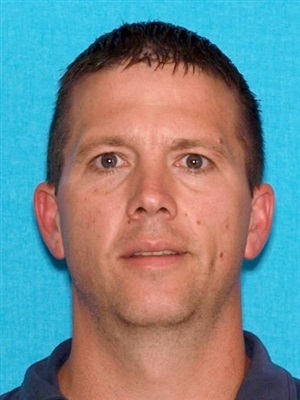 Mr. Lewis was also wanted on preexisting warrants held by the Kingsport Police Department and the Sullivan County Sheriff’s Office. 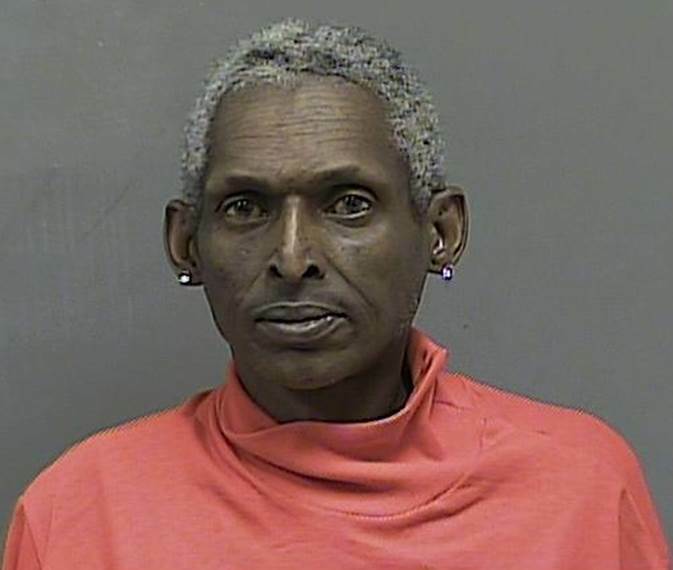 As of the time of issuance of this news release, all four suspects remain incarcerated in the Kingsport City Jail, each in lieu of a $50,000 bond. The K.P.D. Vice and Narcotics Unit was able to successfully carry out this operation without incident thanks to invaluable cooperative assistance provided by the K.P.D. S.W.A.T. Team, the Sullivan County Sheriff’s Office Vice and Narcotics Unit, and the 2nd Judicial District Drug Task Force. 6) Also Wanted on Preexisting Warrants by K.P.D. and S.C.S.O. 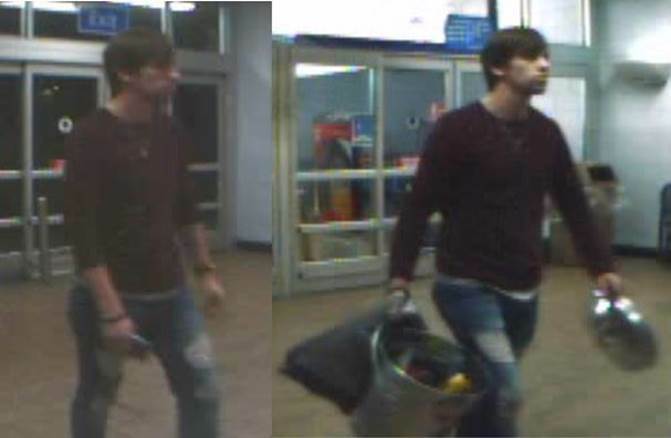 On March 29, 2019 a white male suspect selected over $1,000 in merchandise at Walmart, located at 3200 Fort Henry Drive in Kingsport. The individual then went through the self-checkout lanes, made the appearance of checking out, but then left the store with the merchandise without actually paying for any of it. This same suspect is believed to be involved in several other shoplifting incidents throughout the Tri-Cities region. The above incident was captured on store surveillance video, with a photo of the suspect, taken from that footage, included in this release.